FunDza is launching a brand new publication in a brand new format. We have called it a Funzine – and it is a mixture of a book, magazine and textbook. It will be A4, and will be a collection of all kinds of different texts: stories, poems (by our FunDza Fanz as well as others), articles, blogs and plays. 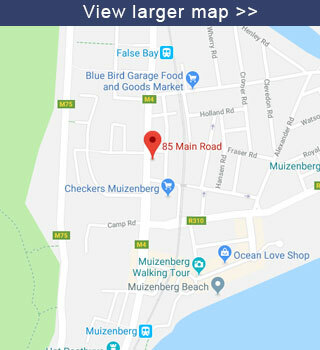 FunDza materials have evolved over the years, as we experiment with different formats and content, and also constantly survey our beneficiaries. Our first FunDza commissioned books were the Big Ups! short story anthologies, which contained some of our most popular short stories from our mobi site. Our beneficiaries did enjoy them, but we also saw on visits that sessions got a bit formulaic with the same kind of text – a short story – each time the group met. We could see that too in our online courses, where readers requested a range of different kinds of texts. We also saw that to call the books Big Ups! Vol 1, Big Ups! Vol 2, Big Ups! Vol 3, etc diminished their uniqueness, and the covers did not grab readers. So it made sense to draw on FunDza’s rich resources of blogs and poems as well as stories, to create a new kind of collection – and thus our ‘hashtag’ anthologies emerged. We have three of these, each with beautiful individual covers (unlike our original Big Ups books): there is #LoveReading, #CantStopReading and most recently, #OhMyWords. These hashtag anthologies have been extremely popular, and have worked very well. However, the Activity Book, which gives guidance to facilitators in how to use these anthologies in reading sessions, has not been consistently used, despite beneficiaries asking for more support and structure for reading clubs. The Activity Book was used mainly by those facilitators who had received FunDza training, or more experienced facilitators who could mediate the text themselves. In surveys, just about all beneficiaries asked for more activities, but were keen to see them integrated into the book itself, not as a separate booklet that then had to be referred to. FunDza has also produced a variety of pocket booklets – little A6 booklets with one story in each. These have also proved very popular, with their ‘magaziney’ nature making them less intimidating, and teachers are more likely to let these go home with learners. And so with all these learnings, we started designing our first ‘Funzine’. This has an exciting layout, and a range of content-types, including short plays for the first time (another request from some beneficiaries). It is currently in design stage, and we are looking forward to getting feedback from beneficiaries about our first draft. Initially we also thought that we would print it cheaply on newsprint, to make it feel less like something precious that learners were not allowed to take home. However it is turning into such a time-consuming, beautiful (and expensive) process in terms of curation and design that we are now hoping we can get economies of scale rather than production! We would like these Funzines to last, so that teachers and facilitators are able to reuse them. 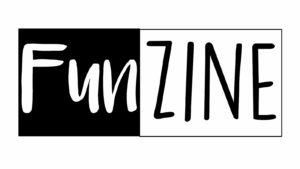 FunDza beneficiaries will receive their first Funzines at the beginning of next year. Watch this space to see the final cover and hear news of how they have been used in reading clubs and classes.